South Africa’s first national monument dedicated to preserving and promoting the heritage of surfing will be officially opened when the plaques honouring the first 30 inductees into the Surfers’ Circle Walk of Fame are unveiled at Muizenberg in Cape Town on Sunday 19 March. Featuring Pioneers, Legends and World Champions who contributed to the development and growth of the country’s surfing lifestyle and sport prior to 1992, 25 years ago, the monument has been seven years in the making and will be formally opened by 1977 world surfing champion Shaun Tomson. The day’s activities comprise the public unveiling ceremony at the monument on the traffic circle in the centre of Surfers’ Corner at 11am, followed by a private function for the inductees, their families and invited dignitaries where each honouree will be presented with a certificate commemorating the auspicious occasion. 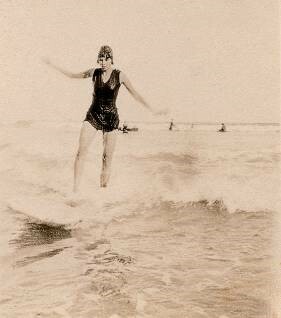 Surfers’ Corner in Muizenberg is considered the birthplace of surfing in South Africa since Heather Price became the first South African to be recorded riding waves standing up on a surfboard there in 1919. It was recognised as one of the world’s top 20 surf towns by National Geographic in 2013. Originally mooted by the organisers of the hugely successful Surfers’ Corner ‘60’s Reunion in 2010, it took four years of tireless effort by the Muizenberg Improvement District (MID), and in particular their Beach representative Peter Wright, to obtain permission from the local authorities to use the circle for a national surfing monument. The Surfers’ Circle Walk of Fame was launched in 2014 when 12 Pioneers (three each from Durban, East London, Port Elizabeth and Cape Town) were selected for their contributions to surfing during the 1950’s and ‘60’s. 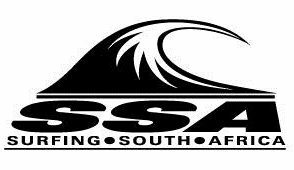 A committee has subsequently been formed to run the project with Surfing South Africa, the national controlling body for the sport, providing the official endorsement of the inductees selected. The 12 Pioneers selected in 2014 were John Whitmore, Dave Meneses and John Grendon from Cape Town; George Thompson, Leon Coetsee and George Bell from Durban; Sandy McGillivray, Leo Davis and John Heath from Port Elizabeth and Bobby Joubert, Mike Hornsey and Roger Taylor from East London. Since then 18 more Pioneers, Legends and World Champions have been added to the list of honourees, each of whom will have an engraved black granite plaque in their name unveiled at the ceremony. South Africans who won world titles prior to 1992 are Tomson (Durban), 1978 ISA champion Ant Brodowicz (Margate) and four-time (1987, ‘89, ’91 & ‘92) ASP women’s champ Wendy Botha (East London), along with David Malherbe (EL) and Justin Strong (Cape Town) who won the ASP world pro-am title in 1990 and 1991 respectively. The Pioneers include Durbanites Peter Burness and Baron Stander; Capetonians Heather Price, Basil Lomberg, Ahmed Collier and Schani Nagia and Port Elizabeth’s Addie Jappie. Those being honoured as Legends of the sport are Cheron Kraak from Jeffreys Bay; Ant van den Heuvel, Graham Hynes and Max Wetteland from Durban and Robbie Abrahams and Cecil Whiteman from Cape Town. More honourees, including world title winning SA surfing teams, will be inducted into the Surfers Circle Walk of Fame annually, with the design and construction of a suitable statue honouring surfing’s heritage also in the pipeline. Next Sunday’s activities will commence at 9am with an inspirational workshop for young surfers conducted by Shaun Tomson, one of the greatest surfers of all time and an internationally celebrated motivational speaker. Titled “Commit to a Positive Wave: How to be the best you can be”, the 90 minute session complements the motivational messages in his best-selling book ‘The Code’. Shaun will be signing copies of the book purchased at the event on Sunday. Bookings can be made via howzitaway@gmail.com. Note that space is limited.